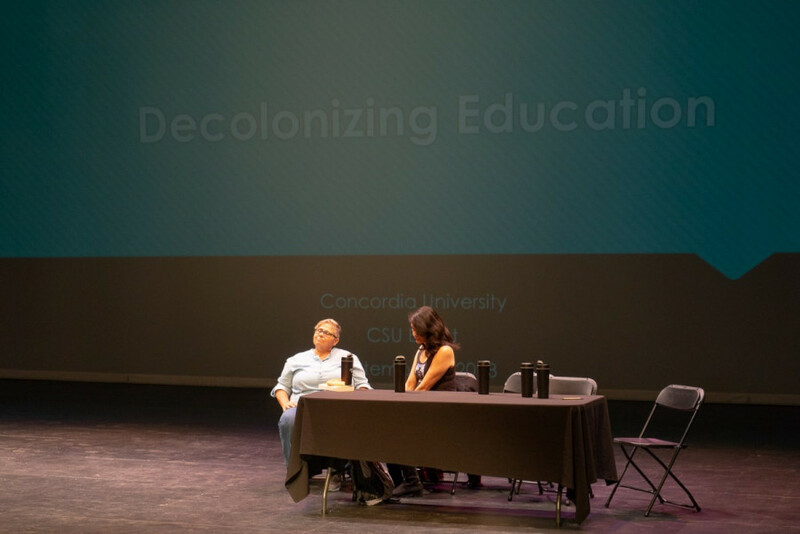 “The way to decolonize is to indigenize” said Emeral Poppe, Co-President of the First People Studies Member Association. 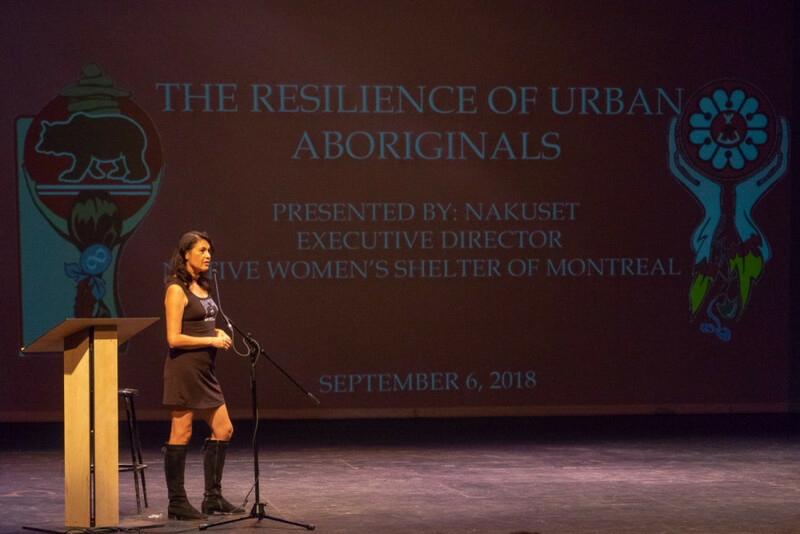 The talk featured Diane Labelle, director of the First Nations Regional Adult Education Center, and Nakuset, Executive Director of the Native Women’s Shelter of Montreal to speak about ways Concordia can start indigenizing their community. “We have a vibrant Indigenous community at Concordia. I personally think this is a very important conversation that all students should be having,” said Michelle Sandiford, Student Life Coordinator at the CSU. Nakuset graduated from the Applied Sciences department at Concordia. She explained her time as a former student working with the Centre for Native Education, now called the ASRC. 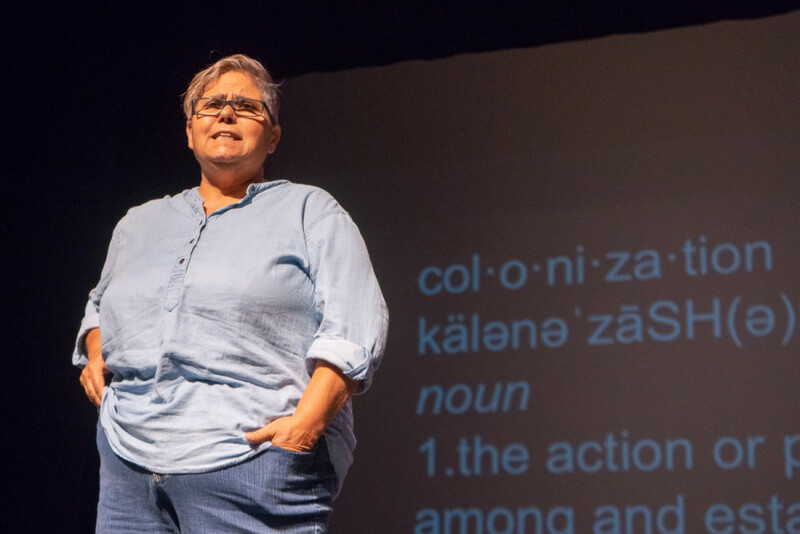 The talk approached different ways we can incorporate Indigenous history in our everyday lives. One of the most prominent ways to help, is through the allies who are willing to educate and inform people about the ways Indigenous people have been shunned. Labelle explained the importance allies have in the spreading of information concerning Indigenous issues. Labelle put a lot of pressure on the education system in Montreal, to better explain the difficulties First Peoples face today since the time settlers came. “We can blame the education system, but we also have to look at ourselves and say ‘I’ve been sitting and waiting for people to educate me,’” Labelle continued. She proposes different ways to get involved in the Indigenous community as a way to indigenize this society. The ASRC is one of the many ways Concordia students can volunteer to give their time as to help expand Indigenous knowledge to more than just the Indigenous community. “I am full of hope, we’ve got a lot of work to do and we need strong allies, we need what I call ‘co-resisters’ and were in these times of reconcolly actions,” said Vicky Boldo, Elder in Residence at the ASRC. “Not so long ago as Indigenous peoples we were not welcome in these institutions, today […] to see the students, all the new students who’ve come to join us, my heart is pretty full” said Boldo.